NCERT Solutions for Class 9 Social Science SST History : India and the Contemporary World – I, Geography : Contemporary India – I, Civics (Political Science) : Democratic Politics – I, Economics : Understanding Economic Development – I Pdf free download are the part of NCERT Solutions for Class 9. 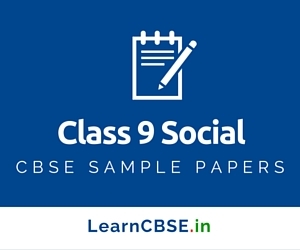 Here we have given CBSE Class 9 Social Science NCERT Solutions. We can also find Extra Questions for Class 9 Social Science and CBSE Class 9 Social Science Map Work here.